The Compulsory Student Services Fee (or Student Services Levy) contributes to funding student services, buildings and other facilities that students use. AUT invoices students for the fee at the same time as we invoice students for their tuition fees. Not all students are required to pay the fee. Distance learning and exchange students are exempt from the Student Services Fee because they don't use the campus services and facilities. Distance learning means that the teaching department have confirmed that no portion of the paper is taught on an AUT campus. Covers provision or subsidy of various services that students access. Covers maintenance and development of student facilities and buildings. AUT has consulted with students on the Compulsory Student Services Fee. 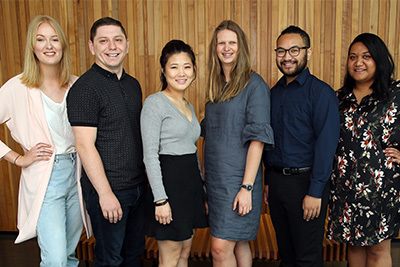 AUT has a formal partnership with AUTSA (the student body) through the Student Advisory Committee, which provides oversight and guidance on the allocation of the Compulsory Student Services Fee. The membership of this committee consists of equal numbers of representatives from AUT and AUTSA. The committee is responsible for ensuring the best value for students and promoting student engagement with learning and with AUT. As well as contributing to the financial cost of university services, AUT contracts and funds services delivered by AUTSA. AUTSA provides AUT students with independent and confidential support, advice and advocacy services. This includes assistance for legal matters, disciplinary action, harassment, complaints, employment and tenant rights, grade appeals, and general information and translation of AUT rules and policies. AUT offers career counselling, career development services and job search support to prospective and current AUT students and alumni. AUT’s career specialists provide advice and support clients to make informed decisions about their career path and study programme, and to improve their employability. AUTSA offers a range of student-run social, sustainability, academic and cultural clubs through which students can meet new people, participate in events, and get involved in campus life. AUT hosts two childcare facilities – one at AUT City Campus (run by AUT) and an independently-run crèche at North Campus. Both centres provide excellent facilities and services, including school holiday programmes. Health, Counselling and Wellbeing also provide comfortable and private rooms for breastfeeding at all three main campuses. AUT offers a childcare subsidy of up to $50 per week per dependent child, which is paid directly to the early childhood centre where the child is enrolled. AUT has a range of pastoral and counselling services to facilitate our diverse students’ integration into university life and provide on-going personal, spiritual, psychological and emotional support. AUT offers specialised services to students with an impairment or disability, or who are Māori, Pacific, Chinese, International, Rainbow, or elite athletes. AUT also operates a comprehensive orientation and transition programme, and an early intervention service to promote the success and retention of our students. AUTSA provides students with employment information and funding for Student Job Search (SJS). SJS is an employment agency targeted at finding employment for students. AUT offers students information and advice to help manage their money, including assistance with StudyLink issues, budgeting, and banking. In addition, the University provides Justice of the Peace services and emergency financial assistance for students experiencing extreme financial hardship. The health centres at City and North Campuses offer integrated general practice medical, nursing, counselling, spiritual and wellbeing services to support students’ overall health and wellbeing. The Centres are part of the Auckland primary health organisation. Routine consultations are free for domestic students who register with one of the centres as their primary health care organisation. For students based at South Campus, AUT offers a nurse and counselling service, as well as access to funded doctor consultations with four local medical practitioners. AUTSA supports the production and dissemination of information by students for students through Debate magazine and online media. AUT delivers a range of recreational and competitive sport events and activities. Each campus has a fitness centre offering quality fitness equipment, group classes and personalised exercise programmes, and access to sport and exercise services. The University also offers a wide range of cultural events and diversity-related activities to promote diversity and inclusion on campus, as well as to support student engagement. We appreciate and welcome your feedback on the quality and provision of our services.